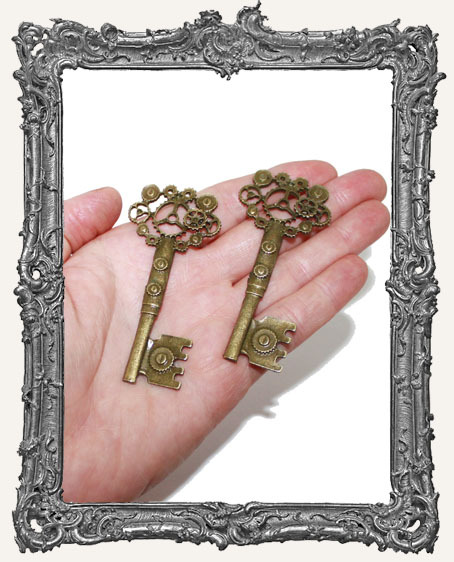 * Set of 2 beautifully detailed Steampunk keys! * There is a natural area on each for hanging. They are also fairly flat on the back so you can glue them to your project. * Each measures just under 3" long.